Here is the beautiful 1956 Oldsmobile Super Eighty-Eight 2-door Holiday Hardtop. This big cruiser has got great lines and a very nice color combination. Body-wise for Oldsmobiles, not much had changed from 1955 - it was new trim that gave the '56 a new look. We now had a full-length body trim piece that began at the back edge of the front wheel and went all the way to the back-up light. An upper piece of trim travelling upwards in a slight arc. For 1956, the bumper was now split with a vertical piece dividing the two halves. Rectangular parking lights could now be found in the front bumper ends. 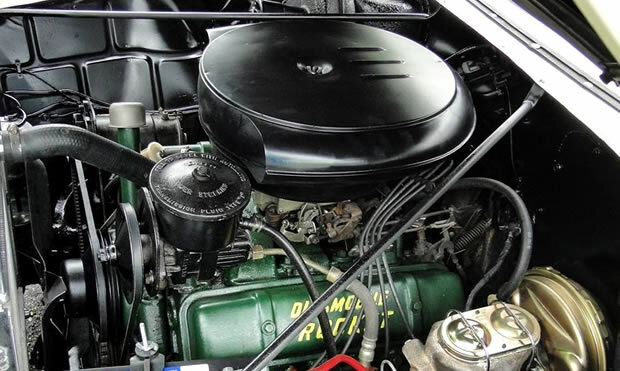 The Super Eighty-Eight was aimed against cars like the Dodge Custom Royal, Mercury Montclair and the Pontiac Star Chief. Extra "luxuries" on the Super 88 included; 88 script on the deck lid, courtesy lights, front fender medallions and foam rubber seat cushions. Power comes from a 324 cubic inch Rocket V8 producing 240 horsepower. This was increased from just 202 horsepower in 1955. The '56 Super Eighty-Eight had a wheelbase of 122", length 203.3" and width of 78.6". This car is fitted with optional power steering, power brakes, automatic transmission, factory clock and AM radio with power antenna. 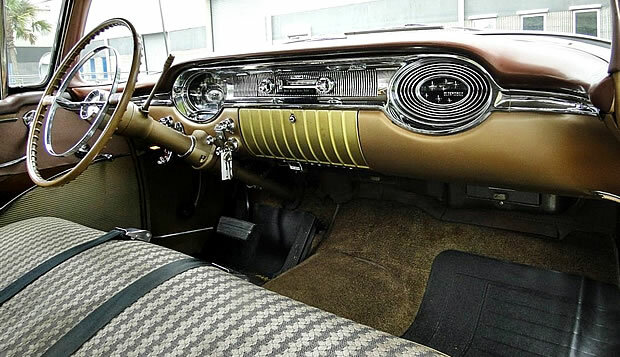 The Super Eighty-Eight benefits from full carpeting whereas the standard Eighty-Eight originally came with rubber floor mats. 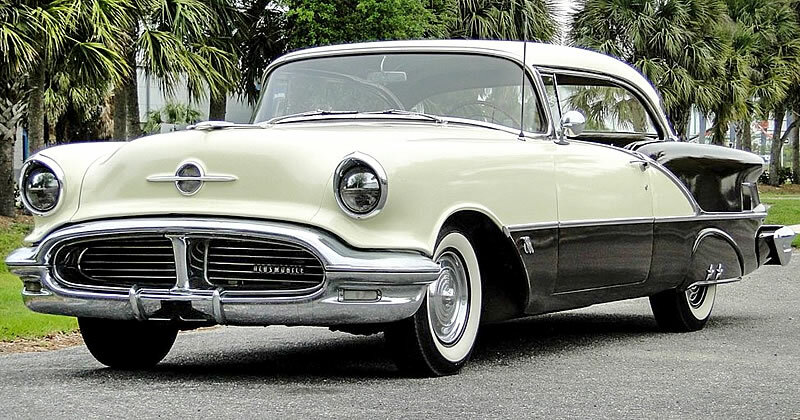 If you ordered an Oldsmobile Super Eighty-Eight 2-door Holiday Hardtop (style 56-3637) when it was new it would have cost $2,808. There were 43,054 built and this car was made in Lansing, Michigan.